Put the central masses– the engine, occupants and fuel– in the middle of a car, and you lay the foundation for a machine that’s more responsive, agile and stable at high speeds, than one with the heavy stuff concentrated at either end. 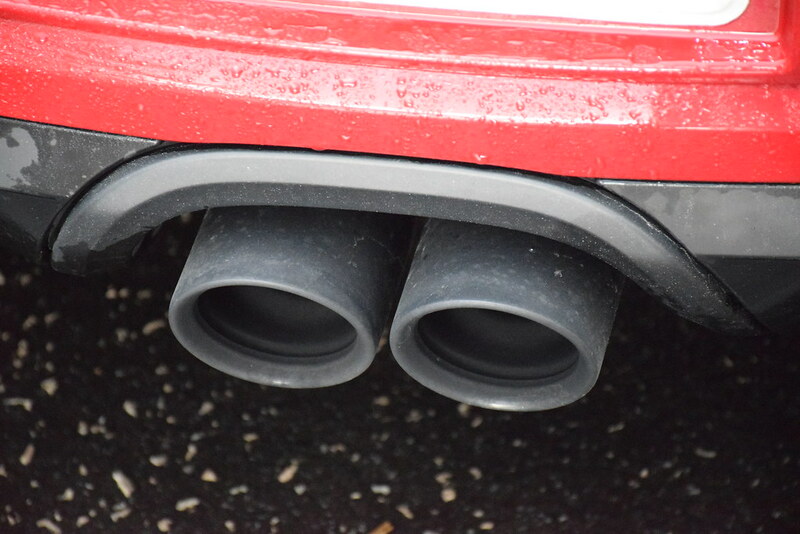 Weight transfers with precision and grace between the axles in a mid-engine car under braking and acceleration, giving drivers easy access to steering via the throttle and brakes. There are other benefits. It’s been over 20 years since the most recent mid-engine Porsche superstar, the Boxster, was revealed in concept form. 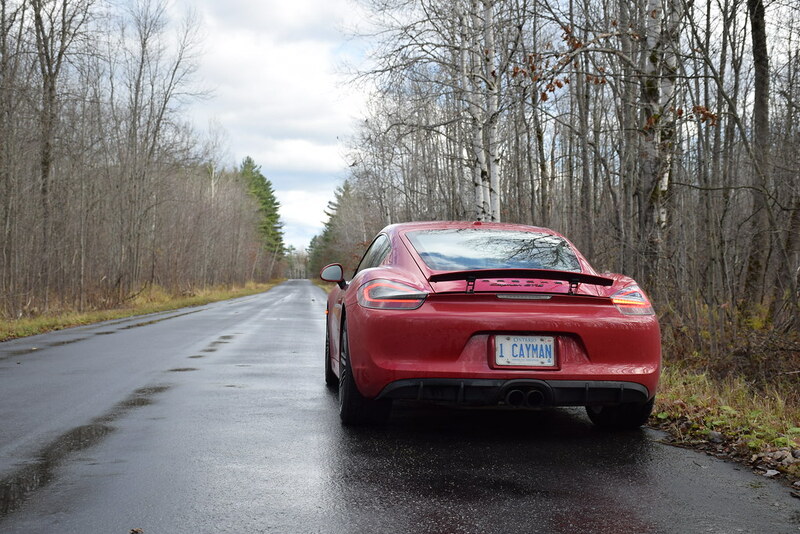 Shortly after going on sale, it spawned a hard-top brother called the Cayman. Other mid-engine Porsche’s exist throughout history, including 904 GTS, which was a historical mid-engine landmark. GTS? 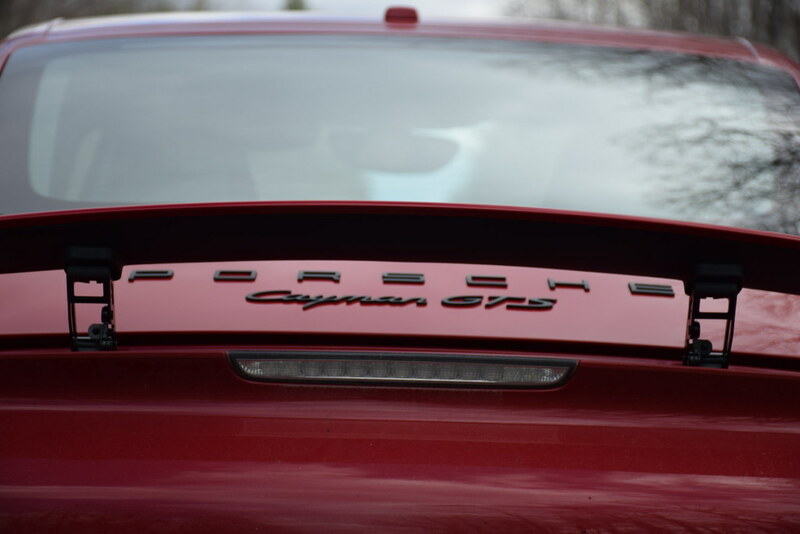 Recently, that special badge has been worn by especially athletic variants of the 911, Panamera and Cayenne that cap the mainstream, naturally-aspirated part of their respective model ranges, performance-wise. And now, as it was back when that 904 GTS was around, Porsche is applying their GTS principle to mid-engine machinery once again. It’s a simple principle. 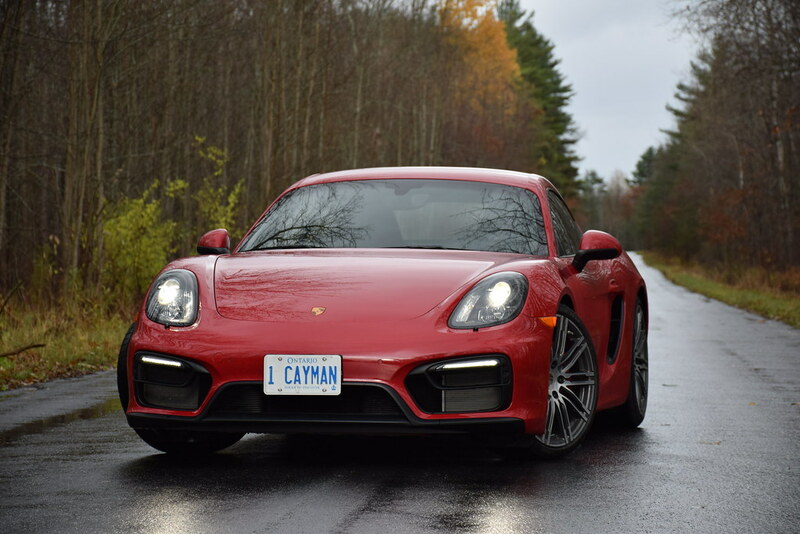 Add a little more power, a little more wheel and tire, and bundle it with the latest Porsche must-have performance tech as standard, and you’ve got the hottest Boxster and Cayman available. For GTS duty, both units get exclusive interior and exterior visual treatments and their own exclusive range of add-on options for customization. 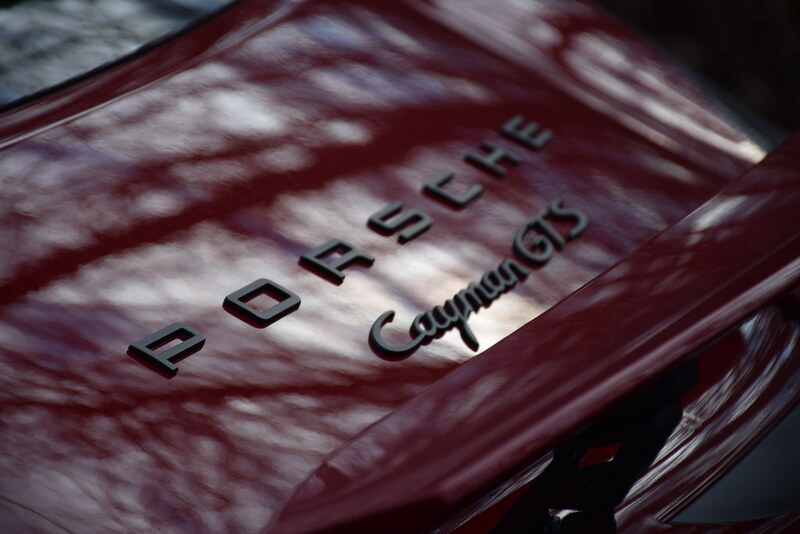 Noteworthy is that the Boxster and Cayman are the exact same car, although the Boxster has a convertible roof, and the Cayman has a hard-top. 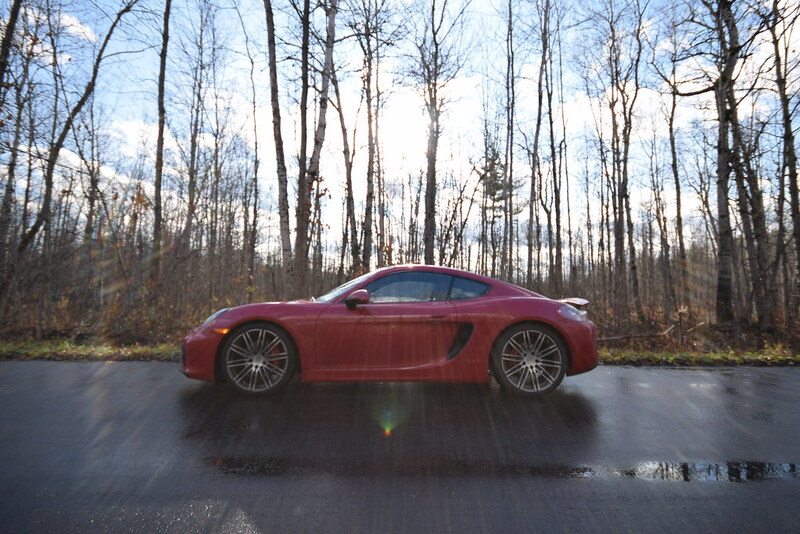 Today, we’ll focus on the hard-topped Cayman. 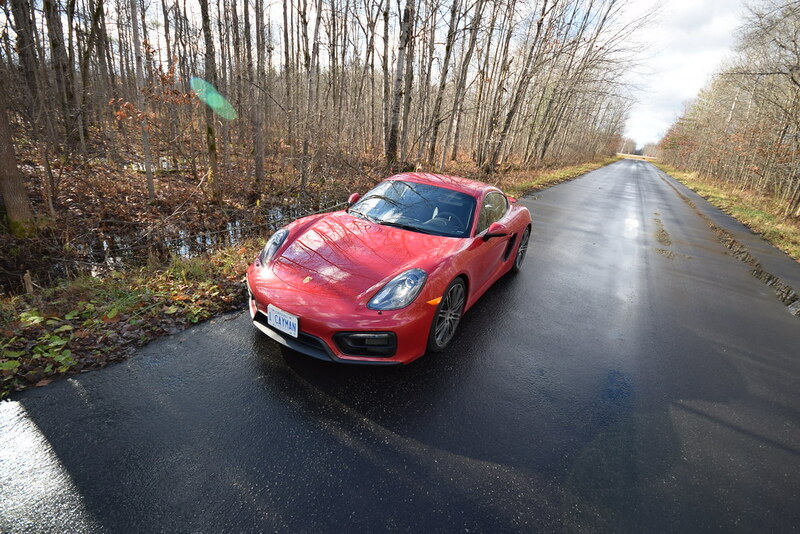 Like its twin, the Boxster, the GTS-grade Cayman promises good value, thanks to thousands of dollars of savings on the standard bundle of up-level go-fast goodies included. You’d spend plenty more adding the bigger tire and wheel kit, Sports Exhaust with push-button bypass, and Sport Chrono package with launch control and dynamic transmission mounts to a standard unit as individual options. Doing so still wouldn’t add the exclusive visuals either, or the boost of 15 horses to 340. 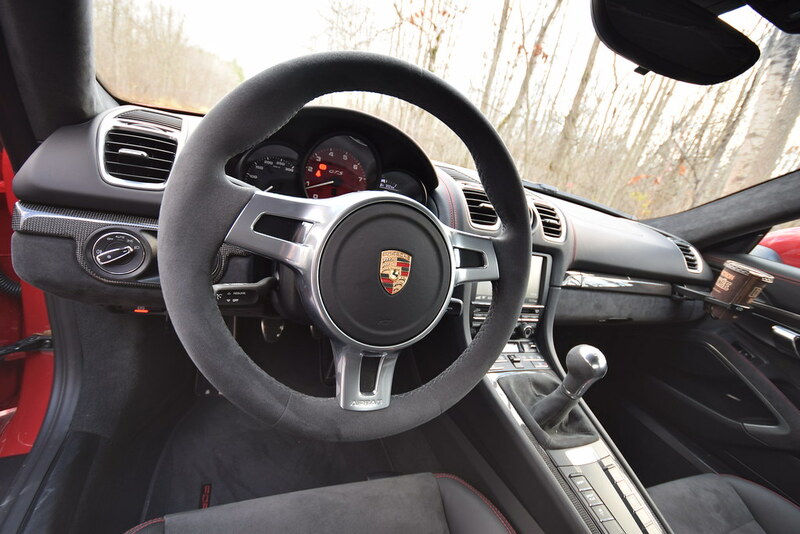 The clutch and shifter are as perfect as I’ve ever felt—precise, robust, and positive, and the rev-happy engine replaces its low-RPM hum with an exotic wail as the tachometer counts past 7,000 RPM. The engine never misses a beat—and it sounds and feels happy to work at or near redline all day long. No part of the performance experience overwhelms any other. The steering is quick and playful, the chassis is delightfully sensitive to weight transfer and easy to pitch and rotate with the throttle or brakes, and it all rewards smooth and gentle inputs, which contributes to a high-speed experience that’s not exhausting or tiresome, even after many laps pushed hard on a circuit. Overall grip is optimized further by latest the Porsche Active Suspension Management (PASM) system, which takes active control of suspension and body movements to keep things even more stable. Using newly-added sensors to make better, faster decisions about real-time damping and body motion control, it’s more effective than ever. You never feel it working, which is sort of the point. There’s a downshift auto rev-matching function if you go with the manual transmission, and a new Torque Vectoring system that helps pitch the rear of the car into bends with inner-wheel braking and overdriving of the outside drive wheel. 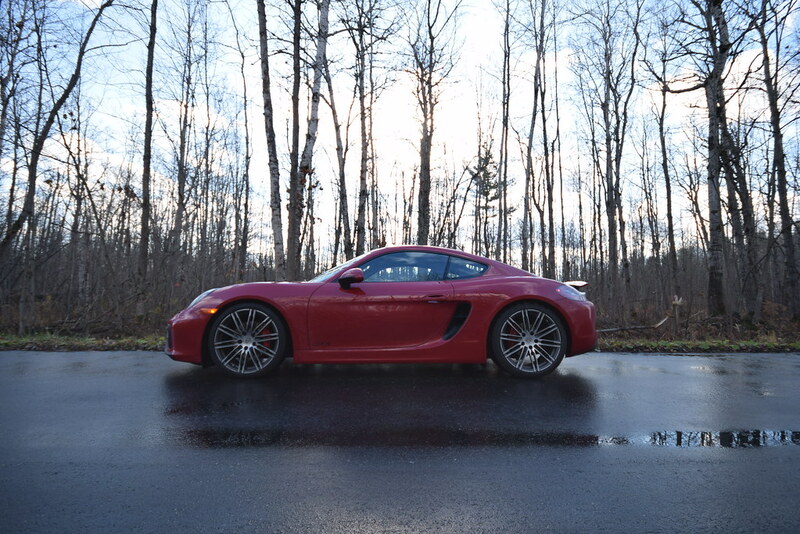 In GTS grade, then, Cayman offers more grip and agility, does much more for the driver, and still delivers the trademark mid-engine driving feel, but in higher quantities and with much higher limits. And all the while, it all feels remarkably dialed-in, tuned, and calibrated. 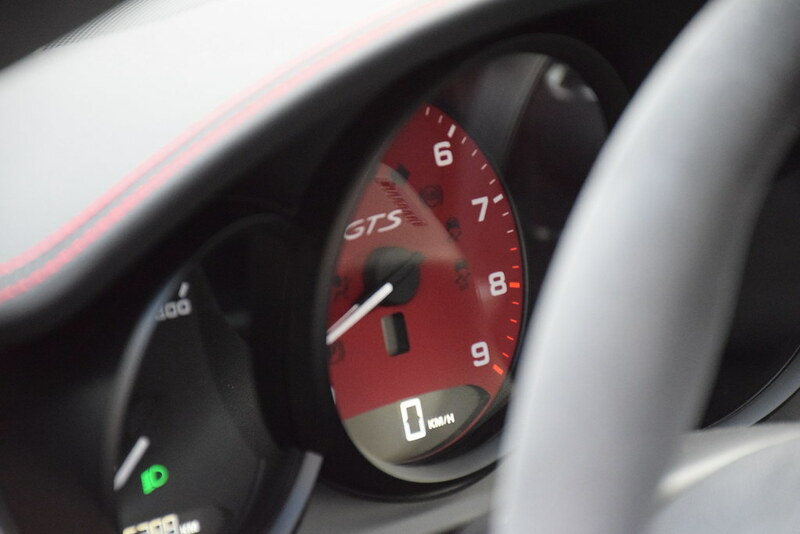 In the GTS, novice drivers can expect to feel fully backed-up and supported for spirited or closed-course driving, and able to access plenty of the machine’s capability from the get go. Suspension, stability control, transmission and throttle operation can be toggled between various modes to match the course, intention or skill level at play– meaning experienced drivers will feel right at home, too. A good thing– as ultimately, shoppers planning to participate in motorsports activities will experience the highest return on their investment in the performance services of the new GTS machines. 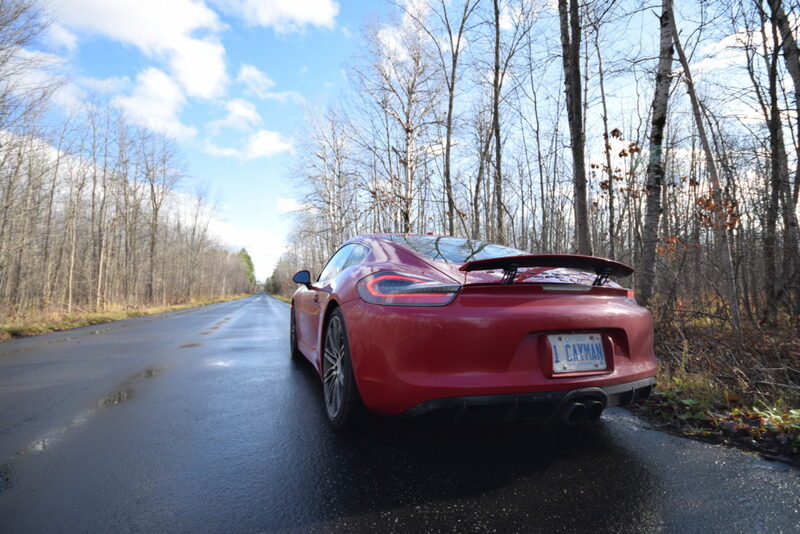 And, as it tends to go with numerous Porsche models, the track-ready engineering takes little away from every-day utility. With the engine in the middle, there’s a trunk in front, and another in the back, adding to road-trip readiness. 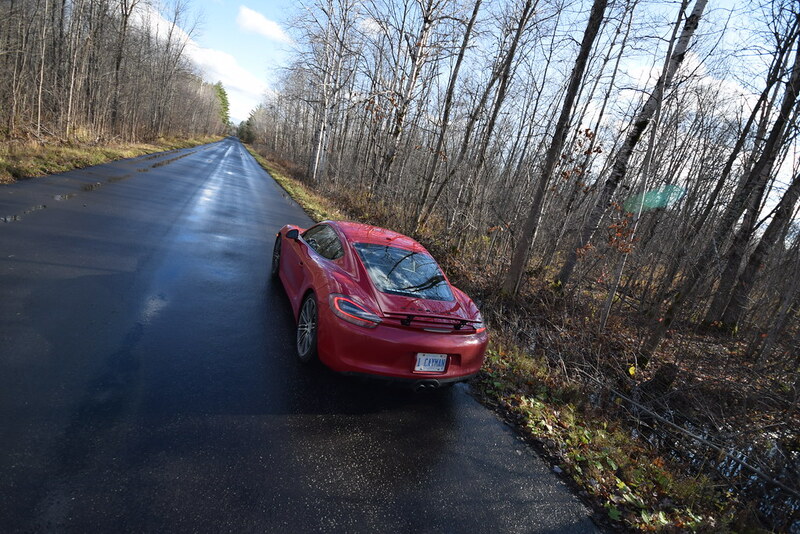 The ride is stiff but far from uncomfortable, fuel mileage is very decent, and it’s not a difficult sports car to enter or exit, to park, or to drive on rougher roads without fearing for the front bumper. So, here’s a precise, track-ready, every-day friendly performance car you can use every day of the week. 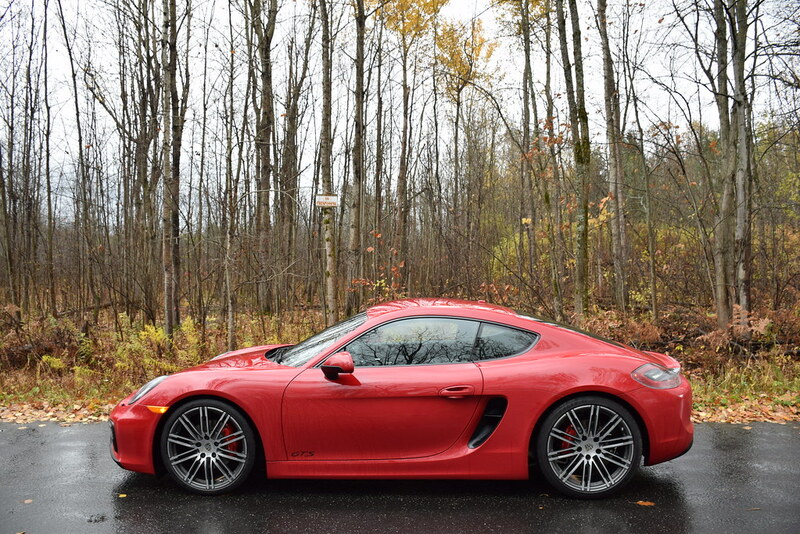 That helps maximize enjoyment from your expenditure of no less than $85,800 for the Cayman GTS—though if you’re after a milder Cayman driving experience, pricing starts at $60,000.